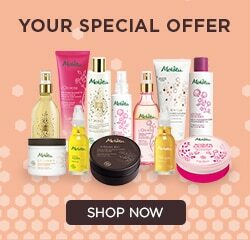 Discover Melvita organic slimming care ! This slimming oil is truly unique with the exceptional slimming action of the oil derived from pink berries. With a sparkling, captivating scent, L’OR ROSE combines effective action with pleasure of use. Highly concentrated in marine active ingredients, ALGASCIENCE restores all the natural wealth of the sea and maximize efficiency for slimming and well-being of the body.